There are so many interesting facts about this planet! 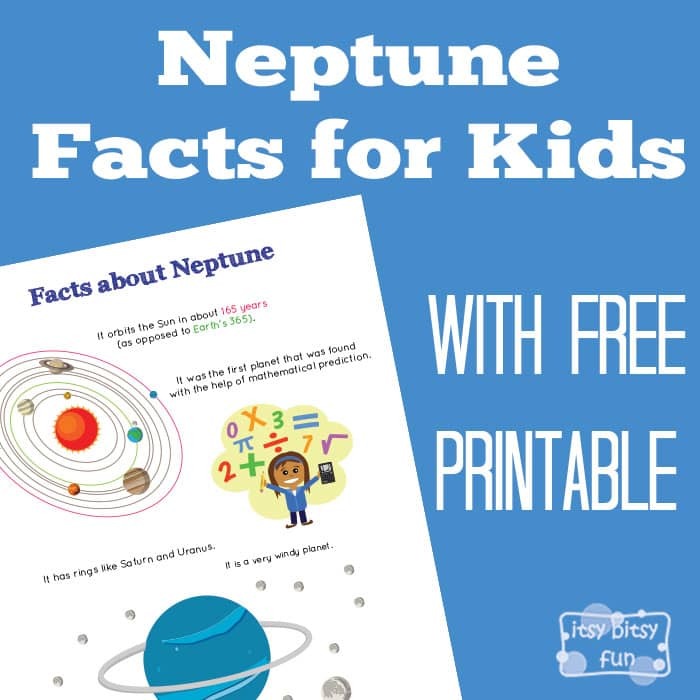 Let’s learn with facts about Neptune for kids! 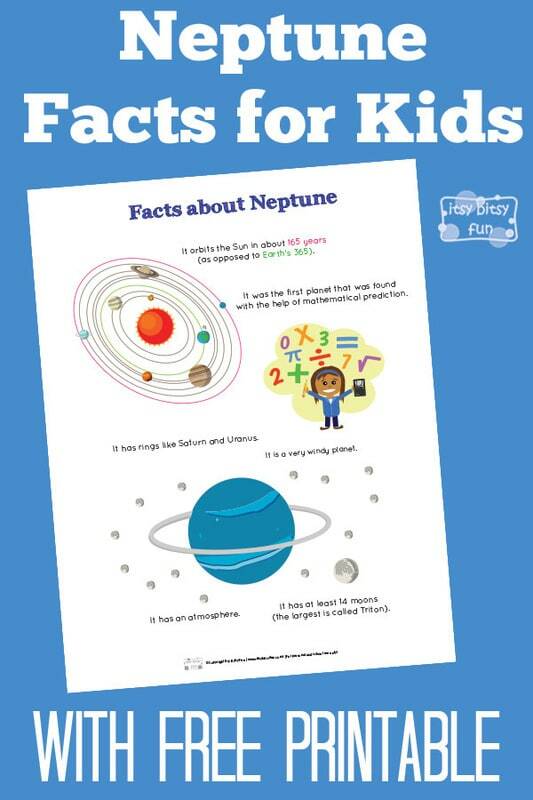 We went through the solar system facts for kids the other day and now it’s time to take a closer look at the 8th (and now since Pluto is no longer a planet the last) planet in our solar system. As most other planets this “little” ice giant got it’s name after a Roman good (like most planets in our system) of the sea (you know the grandfather of King Titan, Ariel’s father). Let’s learn something the last planet in our solar system shall we? It was the first planet that was found with the help of mathematical prediction. It has rings like Saturn and Uranus. It orbits the sun in about 165 years. It has at least 14 moons (the largest is called Triton). Ready to learn about the solar system? Check the solar system worksheets!